Extra Clean. 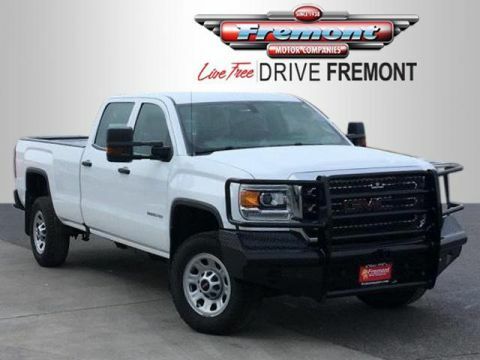 Heated Seats, Chrome Wheels, Turbo Charged Engine, Hitch, Bed Liner, CD Player, Onboard Communications System AND MORE! 4x4, Back-Up Camera, CD Player, Onboard Communications System, Trailer Hitch, Chrome Wheels, WiFi Hotspot. Keyless Entry, Privacy Glass, Steering Wheel Controls, Electronic Stability Control, Heated Mirrors. ENGINE, DURAMAX 6.6L TURBO DIESEL V8, B20-DIESEL COMPATIBLE (397 hp [296.0 kW] @ 3000 rpm, 765 lb-ft of torque [1032.8 N-m] @ 1600 rpm) Includes (K40) exhaust brake. 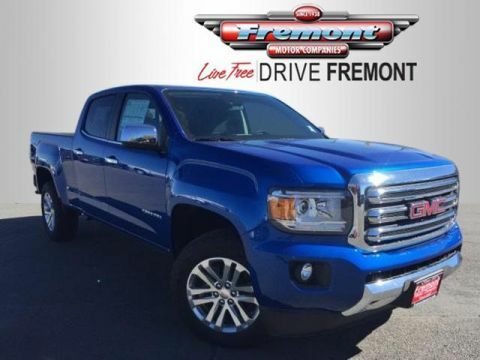 ), TRANSMISSION, ALLISON 1000 6-SPEED AUTOMATIC, ELECTRONICALLY CONTROLLED with overdrive, electronic engine grade braking and tow/haul mode, SLE FLEET PREFERRED PACKAGE includes (AG1) driver 10-way power seat adjuster when ordered with (AZ3) front 40/20/40 split-bench seat, (T3U) front fog lamps, (C49) rear-window defogger and (KI4) 110-volt power outlet (Includes (CJ2) dual-zone automatic climate control. ), BED LINER, SPRAY-ON Pickup box bed liner with GMC logo consisting of high pressure, chemically bonded, sprayed-on polyurea & polyurethane liner formulation. Liner is permanently bonded to the truck bed providing a water tight seal. The textured, non-skid surface is black in color and robotically applied to yield consistent 90 mil floor and tailgate thickness along with 50 mil box sidewall thickness. 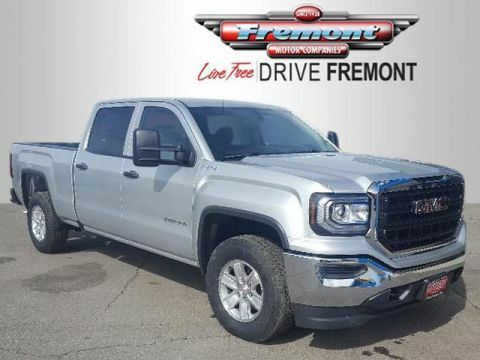 Spray-on liner covers entire bed interior surface below side rails GMC SLE with Summit White exterior and Jet Black interior features a 8 Cylinder Engine with 397 HP at 3000 RPM*. FREMONT CARE.